Hi gang. I hope you all are enjoying your Thursday. I’m sitting around working on some things with the NFL Draft’s first round set to get started in about an hour and a half, so I thought I’d open up a post here to do a live thread in the comments. I’ll moderate the comments to show any thoughts about the draft or the Mountaineer players you want to share, so keep it clean. I’ll do my best to get to any questions too — we can get into all things WVU sports, it doesn’t have to be about the draft. None of the West Virginia guys expected to get picked this weekend are likely to come off the board tonight, but crazier things have happened. Stay tuned in the comments as we get closer to the first pick. Today we got some time with the new offensive staff for WVU football as the Mountaineers carry on with spring practices. Videos of co-offensive coordinator Matt Moore, tight ends/inside receivers coach Travis Trickett and quarterbacks coach Sean Reagan are below. I’ll have more on the main site this evening from those interviews and this afternoon’s practice session in Morgantown. 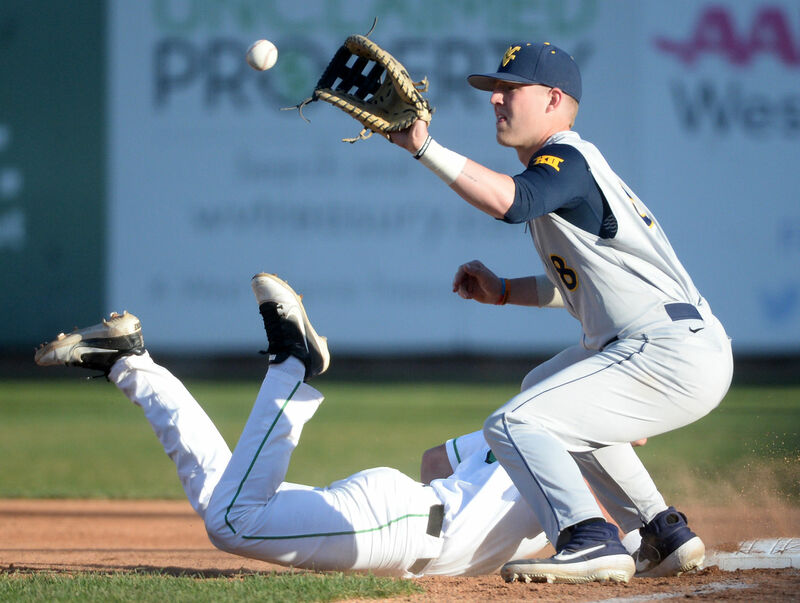 The WVU baseball team found its way last week with mid-week a win against Marshall after opening Big 12 play with three losses at Baylor the previous weekend. The Mountaineers needed to bounce back with Oklahoma coming to Morgantown for three games. Staff ace Alek Manoah pitched well in the series-opener on Friday but the Sooners slipped past WVU 2-1. West Virginia’s fortune turned around however, with a 12-4 win on Saturday and a 5-1 win on Sunday to take the series from OU. Now the Mountaineers will look to keep that momentum rolling along with rival Pitt due in Morgantown for baseball’s Backyard Brawl on Wednesday before a weekend trip to Stillwater for three games at No. 23 Oklahoma State.